This is the first part in our blog series covering results from the 2016 Animal Tracker, including a summary of our findings and methods. For a long time, Faunalytics has been encouraging the use of research and measurement to improve advocacy for animals. Happily, there is a growing body of research providing evidence to help animal advocates to be as effective as possible. There are many questions that remain, however, including a sense of how attitudes and behavior are changing over time. Enter the Faunalytics Animal Tracker. The Animal Tracker is an annual survey of U.S. adults’ attitudes and behavior with respect to animals and animal advocates. It is the only longitudinal survey dedicated to animal protection issues. The first survey was conducted in 2008 and included 15 core questions. A subset of five questions has been asked every year since, which means that we collect new data for each question every three years. This year we are presenting the Animal Tracker results in a series of blogs. This first blog provides the background and methodology of the ongoing study, and a brief overview of the latest results. In the forthcoming blogs we will explore each of the key topics covered in the 2016 survey. You can also explore the past Animal Tracker results by reading the past reports or accessing our graphing tool. Do you personally support or oppose the animal protection movement’s goal to minimize and eventually eliminate all forms of animal cruelty and suffering? Following is a brief summary of results from the 2016 survey. Future blogs in this series will explore each of these topics in more detail, including trends and demographics differences. Movement’s Goals – There is very strong (rhetorical) support for the goals of the animal protection movement, which are described in the survey as “to minimize and eventually eliminate all forms of animal cruelty and suffering.” Excluding those who say they “do not know” (18%), 81% of respondents say they support this goal including 39% who say they “strongly” support it. On the other hand, nearly a fifth of respondents (19%) say they oppose this goal, but only 4% of U.S. adults say they “strongly” oppose it. Knowledge – Self-reported knowledge of animal issues is generally quite low. On average, across the issues studied in the Animal Tracker, a majority of US adults (54%) say they are “not very” or “not at all” knowledgeable about the issue. Only 8% of people (on average) say they are “very knowledgeable.” However, knowledge varies by topic, ranging from 24% who are very/somewhat knowledgeable about horses and dogs used in racing to 68% who are very/somewhat knowledgeable about companion animals. Besides horses/dogs used in racing, there is particularly low self-reported knowledge of animals in laboratories and animals in circuses and rodeos. There is above-average knowledge of animals in pounds and shelters, animals in zoos and aquariums, and animals raised for food. Importance – Overall, most people believe that protecting animals is important, regardless of species or situation. But that perceived importance differs considerably by issue area, based in part on how likely a respondent is to engage in a given activity. Excluding “do not know” responses, a majority of U.S. adults believe that animal welfare is either “very” or “somewhat” important for all issues listed in the survey (55% or higher). The vast majority (83%) feel that animal welfare is very/somewhat important when “getting a new pet,” while 73% say the same when “buying food (i.e., meat, dairy, eggs)” and 67% say the same about “buying consumer products.” People are least likely to think that animal protection is important when voting for a political candidate, going to dog/horse races, or buying clothing. Attitudes – Asking respondents to agree or disagree with various statements about animals yielded mixed results. Strong majorities of respondents agree with these statements: “protecting endangered or threatened species should be a global priority” (73% agreement) and “some animals are capable of thinking and feeling emotions” (72%). However, 64% also agree that “using animals for food is necessary for human survival.” Additionally, nearly half (47%) agree that “research on animals is necessary for medical advancement” and that “dissecting animals is a vital way for students to learn about anatomy” (47%). Only 23% of respondents agree that buying real animal fur is ethically acceptable, and half (50%) say that farmed animals deserve the same consideration as pets. More than half (52%) also say that people have an obligation to avoid harming all animals. 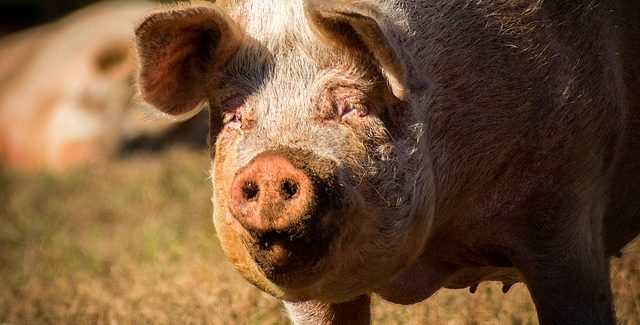 Movement’s Impact – U.S. adults are currently pretty divided in their opinions about the magnitude of the impact that the animal protection movement has had on the country’s policies. Removing those who say they “do not know” (15%), only 8% of those who remain say that the movement has had a “significant” impact, while 36% say the impact has been “moderate.” Nearly half of respondents (47%) say that the animal protection movement has had “very little” impact, while 8% say it has had “no impact” on the nation’s policies. The initial Animal Tracker survey was completed in June 2008 and included a larger sample size (N=1,500) for the purposes of baseline analysis. Subsequent surveys have been completed annually since then (usually in March, but the latest survey was conducted in June), with each year asking a subset of questions. The samples after year one have all included at least 1,000 U.S. adults, with an error ranging from +/- 2.8% to +/- 3.1%. The 2016 sample included 1,019 respondents (response rate: 26%). The actual number is slightly lower for most questions due to refusals, which were less than 3% in all cases. The results have been weighted using a variable provided by the data collection company. This is to account for differences between survey respondents and the population being studied, in this case all non-institutionalized adults (ages ≥ 18) currently living in the U.S. The answer options were randomized for all survey questions except those that present answers in a logical order. All years of the Animal Tracker survey have been fielded using the GfK/Knowledge Networks panel, which combines offline random digit dialing techniques with online panel research capabilities. This results in a true probability sample and survey data that are much more accurate than most other online surveys. In 2016 (Year 9), we also ran a parallel survey using Google Consumer Surveys as a test; we discuss that comparison below. It should be noted that the results are subject to a number of limitations, including issues with self-reporting. Respondents’ answers may differ from their actual opinions or behavior, particularly for sensitive questions or those involving intentions or predictions of the future. Interpretation of some terms may also vary from respondent to respondent. Another limitation is nonresponse bias; it is possible that non-respondents have different opinions and behavior than survey respondents. In 2016 Faunalytics conducted a special test to evaluate an alternative data collection platform for future years of the Animal Tracker. We ran the 2016 survey in parallel using both GfK and Google Consumer Surveys (GCS). Our hope was that the results would be comparable enough to shift data collection to GCS over time, due to cost advantages, and also allow us to validate GCS as a platform for animal advocacy research projects. In short, the results between the two surveys were quite different and we are continuing with GfK as our Animal Tracker partner. You can download the full SWB results here. If there is enough interest from the community, Faunalytics may explore these results in more depth in a future blog. Let us know by commenting below! The Animal Tracker is generously supported by our partner organizations, most recently including EJF Philanthropies, Alley Cat Allies, the American Society for the Prevention of Cruelty to Animals, American Anti-Vivisection Society, Animal Legal Defense Fund, Animal Welfare Trust, the Humane Society of the United States, Maddie’s Fund, the New England Anti-Vivisection Society, Pettus Crowe Foundation, RedRover, Tigers in America, and the Massachusetts Society for the Prevention of Cruelty to Animals. Year ten of the Animal Tracker will be fielded in the first quarter of 2017 and will cover topics including trends in animal-related behavior, belief in the importance of humane education, and support or opposition to different advocacy tactics. The benefits of sponsorship are substantial, including receiving early access to detailed survey results (including “cross-tab” data for all demographic segments) and permission to use the survey results with the media, in publications, etc. Faunalytics will be accepting new sponsors for the 2017 Animal Tracker until January 31, 2017. To learn about sponsorship and how to add your own questions, please contact us.